It's Thanksgiving week! In the run-up to this week, we've talked about the ways you can celebrate Thanksgiving right here at the park and the history of the parade. Today, we'll talk about what we're thankful for. Many hands make light work. And believe us, there are many, many hands involved in every aspect of Bryant Park. Our Sanitation, Hospitality, Horticulture, and Security crews are the hardest-working in the business. The Games Hosts, Public Programming Coordinators, and a fleet of interns make sure our daily activity areas and events go off without a hitch. Our Capital and Design Departments repair, build, and design every element in the park, from chairs to the Skate Pavilion. The Reading Room, Events, and Operations Departments make sure that their respective domains are running smoothly. Without the hard work and coordination of all of these parties, the park would not be the beautiful, clean, safe place that it is today. For this group of people, no job is too small and no dream is too big. 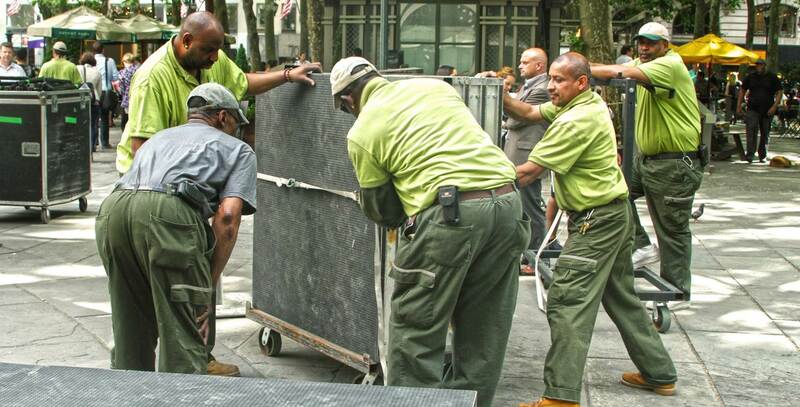 Bryant Park is thankful for all the people behind its operation and management. We wouldn't be able to provide such high-quality offerings to the public without the support of our sponsors. 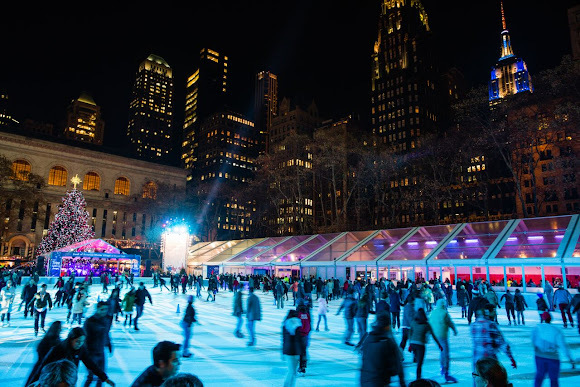 Bank of America helps to make New York City's only free-admission rink, at the Bank of America Winter Village, a reality. HBO's partnership is invaluable to the quality and prestige of our Film Fest. The combined support from Athleta, Yoga Journal, and Flavorpill are the reason that we can host yoga classes for 1200 downward dogs on the lawn. Southwest Airlines® involvement allows us to have fantastic events at The Porch and giveaways at our events. Bank of America Winter Village at Bryant Park is open through March 6. From knitting to boot camp, writing workshops to fencing, tai chi to salsa lessons, the list of amazing and unusual free classes offered at the park goes on and on. Our wonderful partnerships with local businesses, studios, and producers gives Bryant Park the content that keeps the public engaged and coming back week after week. 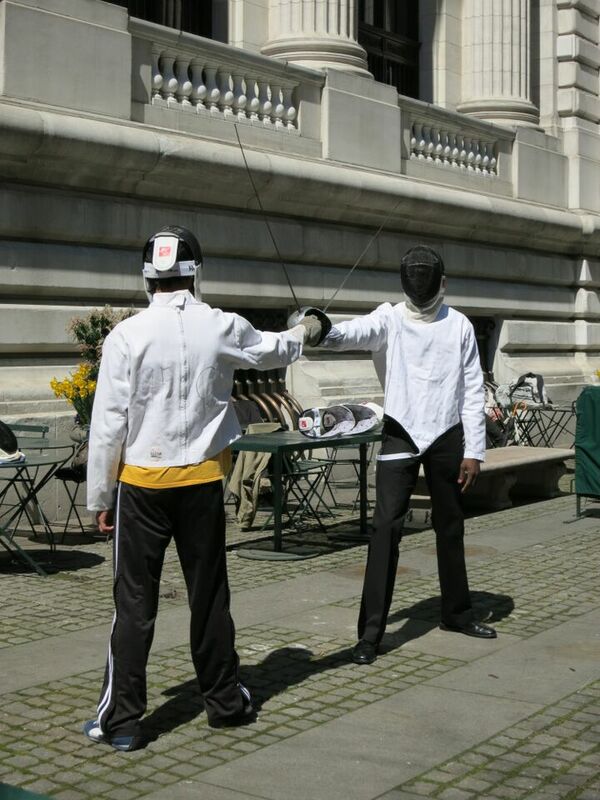 Fencing lessons return in warm weather. The park wouldn't matter if it were empty of visitors. Thankfully, we see more and more visitors each year. We love that Bryant Park is the most densely populated urban park in the world, and want to keep it that way! From our 6 million visitors per year to our feathered friends (did you know that 120 species of birds have been spotted in the park? 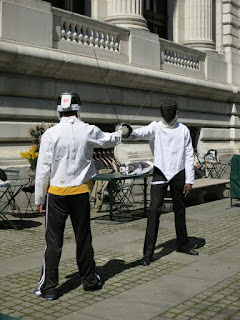 ), Bryant Park truly is Manhattan's Town Square. On this holiday centered first on thankfulness and second on eating, we would be remiss if we didn't recognize that food kiosk operators that keep the hungry crowds satisfied. Without our food kiosks and full-service dining establishments, patrons would leave the park the moment they felt a pang. Luckily, they can grab a quick bite without leaving the park! 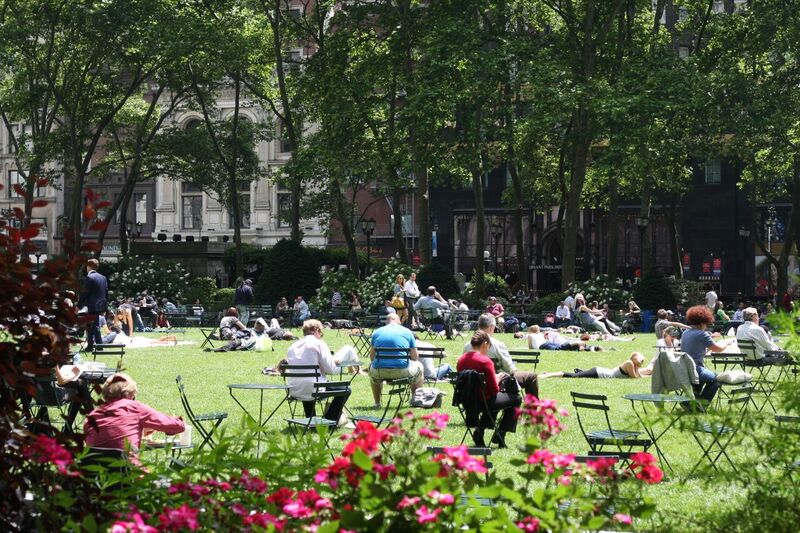 With so much to be thankful for, Bryant Park is truly blessed!